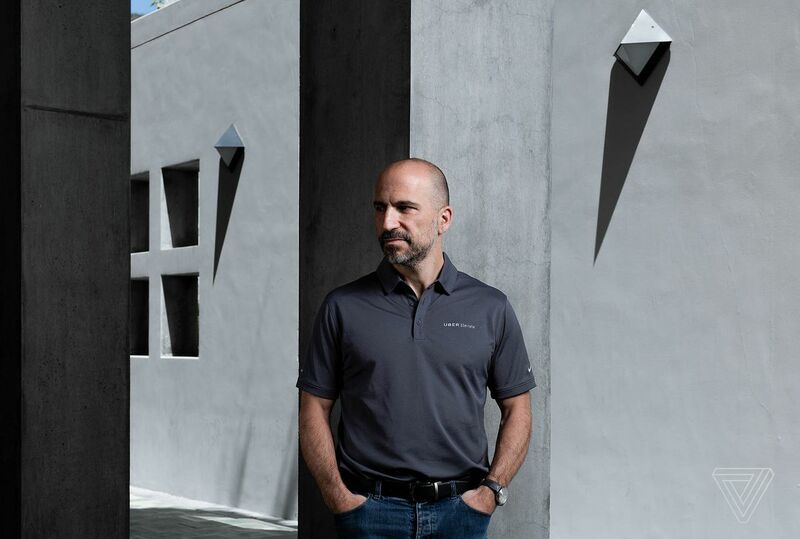 To get to the Uber conference on flying cars in Los Angeles last week, where I was scheduled to interview Uber CEO Dara Khosrowshahi, I hailed a Lyft. My driver was understandably amused about where I was going. My driver was right: these days, it seems likely Uber will have flying cars before it has self-driving cars. The fatal crash involving one of the ride-hailing company’s autonomous test vehicles in Tempe, Arizona this past March was a huge blow to the company’s self-driving program. Federal investigators are still digging into what happened, but the death of Elaine Herzberg forced Uber to shut down its testing program nationwide. You inherited this whole flying car project as CEO. What specifically about it convinced you that it was worth supporting? A couple of things. One is that I quickly realized that the future of Uber couldn’t be just about cars. That ultimately we had to expand our scope from cars to broader mobility. And that cars in two dimensions were at some point going to run out of scope for cities. And that we have to really think about the solution in three dimensions and with multi-modal [options]. So the switch for me was Uber moving from being a giant global car-sharing platform moving to a global A-to-B urban mobility platform. And as I sat down with my team and looked at the various solutions and the various projects that we had in order to really drive urban mobility for the next 20, 30 years, we felt that verticalization and adding a dimension to urban mobility was a necessary ingredient of a number of ingredients, including how we got into Jump bikes and we’ll see where else we go. So it is part of the equation here. The Jump acquisition is really fascinating. What do you see is next for this multi-modal vision? Well the first thing that we have to do is we’ve got to put it all together and start scaling it. These are one of the aspects of Uber that we’re particularly strong at: finding a product that has a very strong product-market fit and scaling it on a global basis unlike any other company. You saw it with black car and then Uber X. Most recently you’ve seen it with Eats. These are now early ideas. They are early developments. We see the product-market fit as being quite promising. Once you scale them, stringing them together actually requires a huge amount of intelligence and coordination so that you can go from a single mode world where you’ve got to pick your mode — I’m going to take a bike, I’m going to take a car, etc. 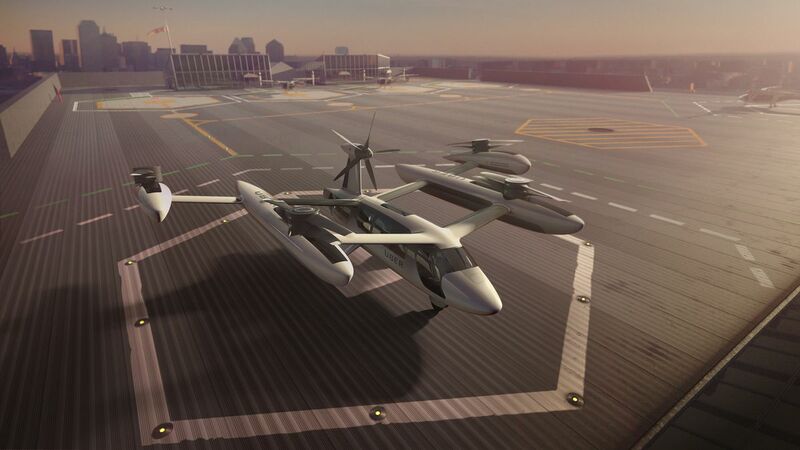 — to a multi-modal world where you can take your Jump [bike] to the Skyport and then take your Elevate to the airport. We can help you move through those different modes in a very, very smooth way. Do you worry about making the app too cluttered? Offering too many choices, confusing consumers? Yes, yes, and yes. And that’s why it’s a challenge and the first iteration has to be [to] perfect the single mode. And by the way, we’re still perfecting our craft in terms of trying to get two people into a car right now. None of this is easy. The minute you bring coordination together, you significantly increase the chance for error. So all of this is quite difficult, but with time we think we can get it right. We’re a company that is uniquely positioned to bring all these different modes of transport together in a delightful consumer experience with a single payment product push. You can get it right, but at the same time you’re pushing an aggressive schedule with this electric vertical take-off and landing project. You want to start testing 2020, you want a commercial product in 2023. How confident are you that you’re going to meet that goal? The first thing you’ve got to do is set the goal and then believe in that goal and bring industry players and partners to drive against that. Part of the reason that I’m here is so that I can have face-to-face conversations and look someone in the eye and say, “Are we going to make 2020?” And so far the answer has been yes. We’ve got a number of partners that are pushing hard. They understand the potential here and what we’re doing, which is super interesting. We’re building a road map to mass adoption. 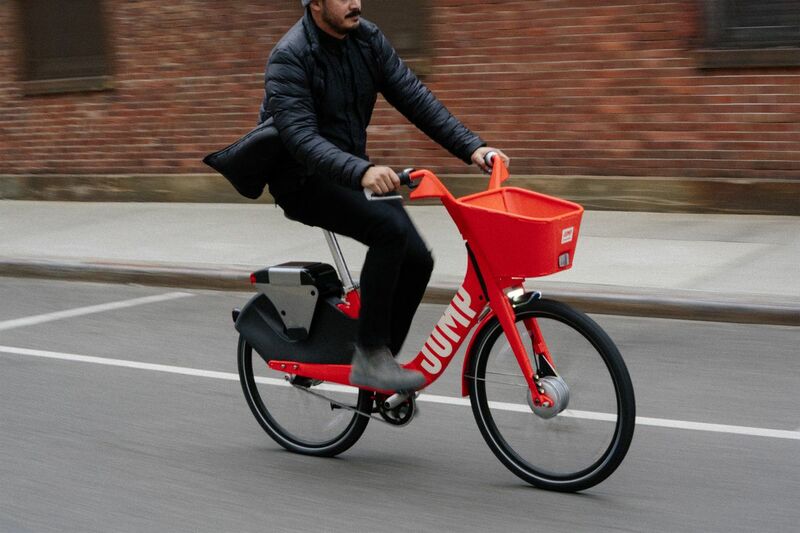 And as a result, unit economics coming to a level where this hopefully is not just going to be a product for the rich or the ridiculously rich, but this is actually going to be a product that’s going to be available to a significant number of urbanites so that they don’t have to be sitting in a car on their phone. I’m glad you differentiate between rich and ridiculously rich. So I talk to a lot of public transportation people and when they hear about this idea, it drives them crazy. They feel that the only way to truly get millions of people around in dense urban cities is buses and trains. And they feel that sometimes, especially coming from Silicon Valley, there’s an emphasis on individual optimization as opposed to equal optimal systems. What do you think about that? We’re totally open to it. You’re going to have to explore multiple modalities. There isn’t going to be this secret “Aha! I’ve figured out the solution here.” As an example of that, in Mexico City we are experimenting with high-capacity vehicles. If you look at Lagos, high-capacity vehicles being a part of dense urban transport is something that has been around for a very long time. These commuter vans. It’s been out for a long time. It’s based on schedules that are not dynamic. It’s based on pricing that’s not dynamic. So there’s a lot that needs to be improved and can be improved. But when we talk about Uber being your point A-to-B platform, we do believe that buses and trains are going to play a part in that. We don’t have to build the full vertical stack, so to speak, and Elevate is a perfect example of that. We’re not building it ourselves. We need to bring in partners, we need to set standards, we need to negotiate those standards and get lots of inputs as to what this, ultimately, this network is going to look like. 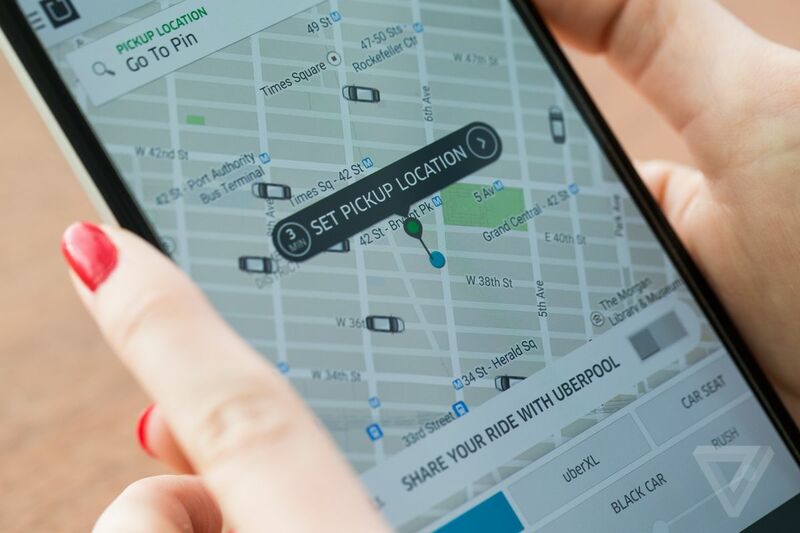 And we’re very open to partnerships with transportation entities, cities, regulators, to include public buses and include trains and subways ultimately in the Uber app. I would hope so. Is this an appropriate use of the company’s capital resources? So we are not a company that owns our cars. Our driver partners own the cars. So we don’t expect to be using capital to manufacture these vehicles. There are incredible partners that we have involved, both large companies like Embraer and then startups who are really pushing the limits of design and specs. So from a capital standpoint, we don’t know where the capital is going to come from, but we don’t think that this model necessitates our being the capital provider. We bring mass demand, which will allow the economics to come down to a level that will create a mass market for it, in order to create the throughput for that demand all the way from the ground up to the sky and back down to the ground. There has to be a very significant orchestration layer. So our role in this ecosystem is demand and the orchestration, and we are then partnering up with many players in terms of manufacturing and design in the Skyports and real estate to bring the whole picture together. There’s the personal connection in that this stuff is pretty freaking cool. But what really got me going when I was running Expedia is that ultimately Expedia democratized travel. It was a window to the world that was open to anyone and everyone and it empowered the consumer to be able to make their own choices and to be their own travel agent. And the result of that was more people traveling, more people being adventurous, further away from their home and more people with different backgrounds connecting and that connection I believe creates good things. And what Uber is doing is providing mobility and connectivity in our cities, that are only going to get more and more dense, but providing it in the same convenient, affordable, dependable way whether or not you can afford a car, whether or not you live in a good neighborhood or a bad neighborhood. Because the taxis of the world, they’re like right in the center of the city, and if you’re in Queens and you want to get a taxi… good luck. But making safe, dependable, cheap mobility available to anyone everywhere — it’s something that’s super important. We talk about this a lot. If we’re going to be true partners to the city we can’t cream kind of the top. We can’t skim the cream. We can’t just be operating in the middle of Manhattan where there’s high density and the network is highly profitable. We got to go everywhere. We’re in the Bronx. We’re in Queens. And actually what’s interesting about that is it’s accidentally led us to a really interesting business opportunity. So there’s this idea for us, which is we’re not a company that’s going to be in city centers; we’re going to be a company that’s going to be providing services to the full city for the fortunate and the unfortunate. [Uber] Eats which launched in Miami. Miami didn’t have a delivery service and because no one thought that it could ever work. Miami and Fort Lauderdale are unbelievable markets for the Eats business, whereas New York City — not so good. Because we’ve gone where others haven’t. We’re kind of going where they ain’t because there’s actually… we’re discovering that there’s a business there but there’s also social good there. From a safety point of view, what assurances do you guys need before putting humans inside and send them hurling at hundreds of miles hour and several hundred feet in the air across a city where thousands of people are down below on the surface? The risks are huge and obviously there was the Tempe crash recently. [Phone rings] Walgreens is calling me. They can wait. Well the good is that the aviation industry has probably the best safety record of any transportation entity in the world. And we are engaging very early as we’re building this thing with many players in the aviation industry. The FAA, NASA, departments of transportation of various cities in which we’re engaged. So that we don’t need to make it up. There is a point at which really smart people don’t need to make stuff up and, actually, the experience that has accrued over years and years comes into play and it’s the magic that happens when you combine experience with ridiculous IQs. That’s what we’re trying to create here. We’re not trying to create things from scratch. We’re hoping to develop this thing and this is where there’s a little bit of pressure. We’re hoping to develop this product and move it to scale at faster development cycles than aviation is used to. But we don’t want to make a trade-off in safety. We are working with authorities who understand safety in the aviation field in a way that no other transportation mechanism does. We’re going to partner with them very early on and we’re going to bring them into the tent and hopefully we can come up with a product that is a strong product. Initially, it’s going to be a combination of man and machine. It will be augmented. It’ll be augmented humans in one way or the other. People talk about humans versus machines, but the best combination that I’ve found is the two working together. Do you see this eventually becoming a pilotless service? It certainly could be, but I don’t see that happening at launch. Well that’s my personal opinion. Maybe someone will surprise me. And I think that the term Autopilot has been trademarked by some other company. Do you feel that in the wake of Tempe that it’s incumbent on Uber to be more transparent about how it does autonomous testing? Do you feel the need to go beyond what federal and state regulators require you to disclose? Right now my focus is not about transparency. It’s just to get it right. So I’m undergoing a top to bottom review with the [Advanced Technologies Group] team and the sole interest is to make sure we uncover every choice that we have, every potential that we have, to be able to get back on the road, but to be able to get back on the road in as safe a manner as possible. We are bringing in independently a set of experts. One of them former chairman of [National Traffic Safety Board] to check our work and to come to their own conclusions. And then the beauty will be in the best of breed internal ideas and then expert ideas. But the focus isn’t about disclosure. The focus is like, just do the right thing so that I can be satisfied, the teams at ATG can be satisfied that hopefully nothing like this ever happens again. You can’t guarantee anything in life. But that’s a focus on honesty and focus on transparency. And you feel that you bringing in the former NTSB chairman, that’s going to provide some sort of like independent check on all this? A check not only in our processes, but also in terms of our culture. Because you can optimize a process for a certain point in time. Culture allows you to understand where there are holes, whether or not these processes that you put in place fall apart one way or the other. I am looking for guidance on process but I’m especially looking for guidance on culture. This push for safety actually is much bigger than just autonomous or even Elevate, it’s actually safety on the Uber platform. When you do 50 million trips a day, you have good people and bad people on your platform and you do have safety incidents. And since the end of last year, our number one priority for the company has been what we call standing for safety and that is going to be the amalgamation of a bunch of different things that we do. And you see some of it coming out in our product. The 911 button. It’s improved driver screening and background checks. Loved ones being able to track you. And this is just the beginning. This is like we’ve started really working on this in a heavy and determined way as a company. And this is going to be a real differentiator for us. And by the way, the benefit is it’s a good thing for everybody. How are you feeling about the technological and regulatory challenges that Uber is facing today? You’ve got autonomy challenges. You’ve got rulings in California about the gig economy and how companies classify independent contractors. These are some big challenges. I’m busy. What’s different about Uber is that we are not just a digital company. We’re a digital company that is touching the everyday real world. And what’s different about us today is that we do it at massive scale. You push a button and a car shows up, you push a button and a Big Mac shows up. Those are to orchestrate the digital part of that transaction with the physical part which includes traffic and accidents, etc. It’s a real challenge bringing those two together. We do it uniquely in the world, but we do it uniquely at a scale that has never been seen before. When that happens, you have to have dialogue with regulators and you have to have dialogue with the cities in which you operate. And will it slow you down? Yeah, but we’re the guests of the city that we operate in and we have to be comfortable that we have to play by those rules. We want to play a part in shaping them. So while I can’t say I’m skipping along merrily, I understand that this is important work and we’re going to play a part. Just in terms of the California Supreme Court ruling, will that change how Uber classifies its drivers? Well it certainly has a potential to. That was a little bit of a different story because it seems like in that case, the company took permanent workers and tried to reclassify them as temporary for the sake of whatever they were after. One of the first reasons when I asked drivers what they like about Uber, then every single time their top answer is ‘I get to be my own boss. I get to use you when I want to. I can do whatever I want.’ That’s not kind of an excuse, we didn’t push it as an excuse to like save costs. That is the feature of our company, which is our driver partners are their own boss. So I don’t know exactly how this regulation is going to relate to us. It could force us to change. But in spirit, I don’t think we fit into at least the early goings of the spirit of the regulation that I read. We’ll see what happens.